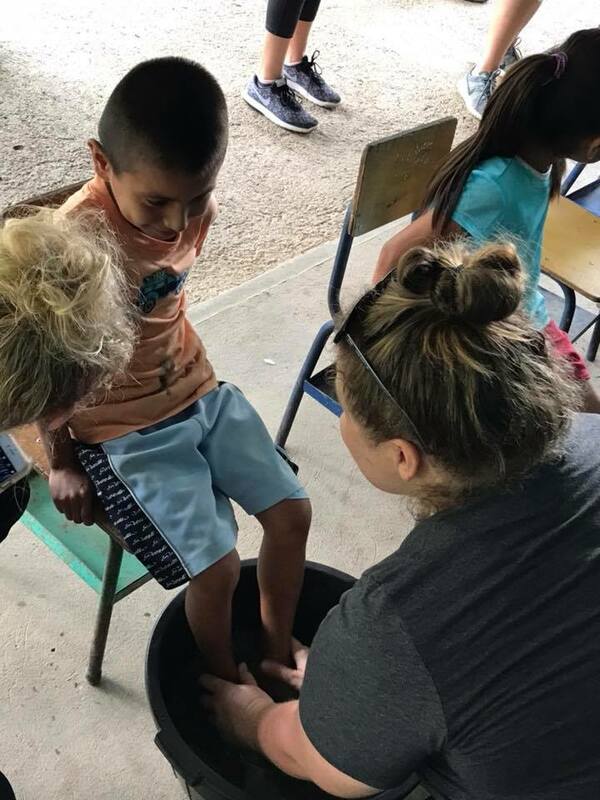 Plus, with each donation you are entered to travel with Moon Jogger's President, Angie Webb, to Honduras on a mission trip with Soles 4 Souls to distribute shoes! "I have collected shoes for this company. My bucket list goal is to take a trip to do this mission. GREAT JOB MOON JOGGERS !" "Wanted to be the one to push it over the top....so you can pick me!" "Having a charitable soul glorifies God’s purpose to use you for good." "Shoes are so important! Hope you get to make so many people smile." "Heart breaking and this is such a wonderful ministry! I would love to go!" "Of course I'll donate! Hope you get your goal!!!!" "Shoes are a basic necessity! No one should be without them. Also Moon Joggers Rock! :-)"
"Thank YOU Moon Jogger for facilitating this!" "What a fabulous movement, a fantastic way to help, in providing happy feet, there is joy spread to many thankful "souls". " Hello friends, family, Moon Joggers, strangers and anyone else reading this. I am Angie Webb, the President of the global running, walking and jogging group called Moon Joggers. As part of Moon Joggers we host monthly virtual races and raise money for different charities. Over the years, Soles4Souls has become a favorite charity and we've been able to donate more than $15,000 to this great organization. This past year I was blessed with the opportunity to travel to Guatemala with Soles4Souls to distribute shoes to children there and it was a life changing experience. My 14 year old nephew came with me and it was so fun to see the powerful affect this trip had on him as he found great joy in serving so many beautiful kids. 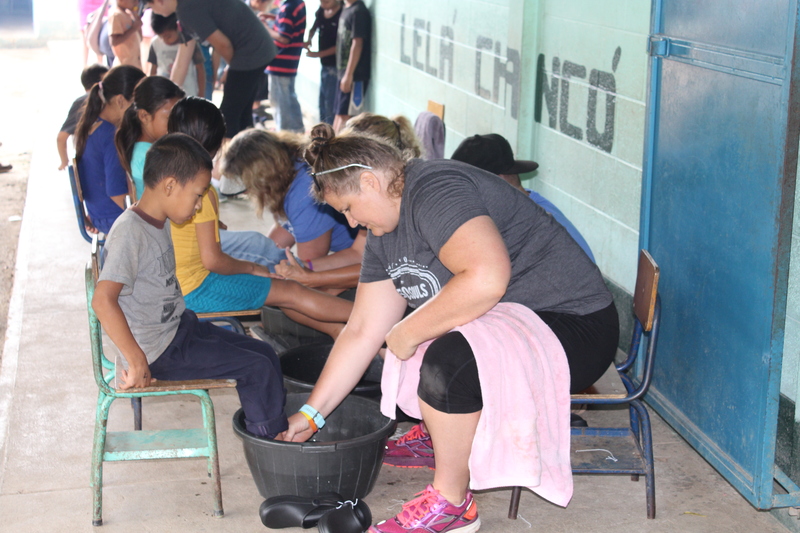 We were able to wash the children's feet and then give them a new pair of shoes. What a humbling experience. After this trip I came up with an idea. And that is, I want to raise enough money to earn a trip for me, and one lucky winner, to travel to India with Soles4Souls on a mission trip to distribute shoes! This is where you come in. For every $10 you donate on this page, you will be entered to win this trip, all expenses paid, to Honduras with ME and Soles4Souls! Everyone is eligible to to win, you do not have to be a member of Moon Joggers. We also have several virtual races this year that benefit Soles4Souls, which will help us in our goal to raise $19,000! When we reach that goal, a winner will be chosen! Please give and help us wear out poverty! *Winner is responsible for covering their domestic flight to the departing city if they win the contest. Soles4Souls covers the international flight, but the trip winners are responsible for getting to the departing city (usually Miami or Atlanta).